Diabetes type 2 is a largely preventable disease, mainly with interventions to promoting a healthy Life style. To be able to work with population based approaches on a global level, new financial models for prevention need to be implemented. One type is a Health Impact Bond. Social impact investment (SII) is the provision of finance to organisations addressing social needs with the explicit expectation of a measurable social, as well as financial, return. The SII market is still in the early stages of development and is only a small share of the global capital markets today. 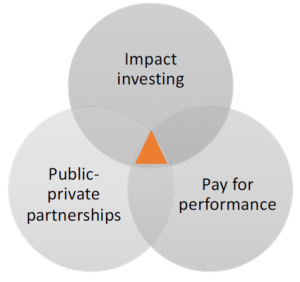 The Social Impact Bond (SIB) is one type of instrument in the social impact investing market. When the SIB is running within the health and social care sector, it is referred to as an Health Impact Bond (HIB). It is a contract with the public sector, that drives resources toward effective social programs, and in which a commitment is made to pay for improved social outcomes that result in public sector savings. The outcomes are predefined and measurable. To date there are 58 Social Impact Bonds operational in 12 countries and more than 100 proposals in development across the World. A SIB is a pay for success contract between the government and Investors to provide improved social or economic outcomes. Investment is raised to pay for a range of interventions provided by public sector services that will improve these outcomes. If the outcomes improve, investors receive their initial investment plus a financial return. The financial return is a fraction of the savings made by the public sector in contracting the service provider. Who are the main players involved in a SIB? A funder, who puts up the initial capital to fund the intervention. An operator, who performs the intervention. 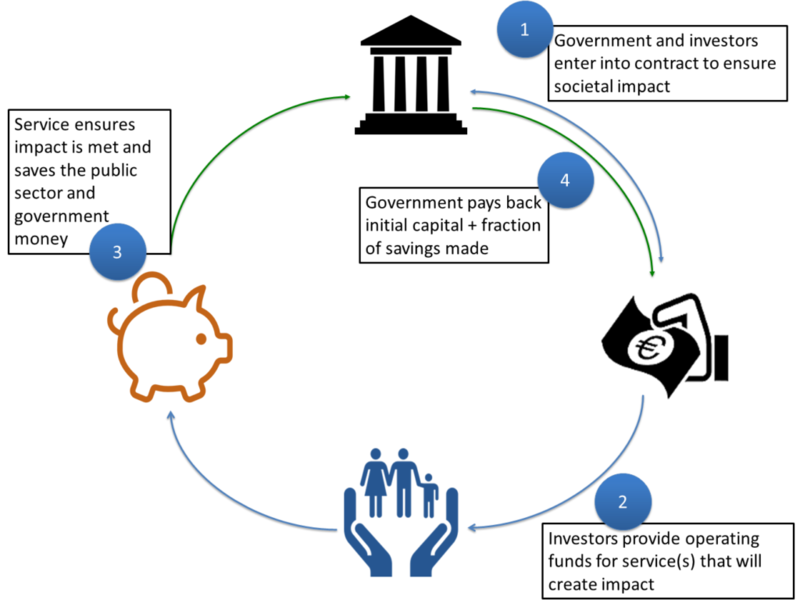 A Payor, usually government, who makes payments to the investor based on the impact achieved.